To help address youth unemployment in North Texas, several companies recently gathered at the first-ever Dallas Opportunity Fair, a day-long hiring event to help local 16- to 24-year-olds find jobs. The Texas unemployment rate for November rose to 4.6 percent for the third straight month of statewide higher jobless figures. Unemployment across Texas rose slightly to 5.3 percent in August. The Texas unemployment rate slipped to 5.7 percent in January and became the state's lowest jobless figure since November 2008. The Texas Workforce Commission on Friday reported the seasonally adjusted rate for January is the sixth straight month of declines in statewide unemployment. 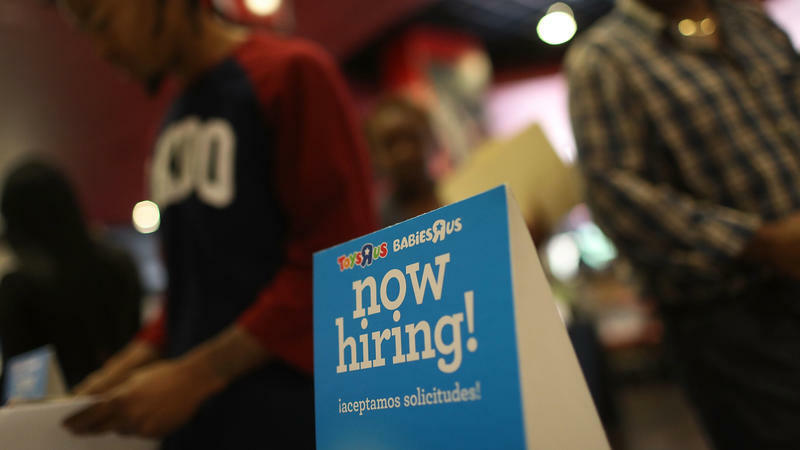 The nationwide jobless rate stood at 6.6 percent in January. Approximately 77,000 people in Texas have been receiving emergency unemployment compensation. These are the folks who had already exhausted their regular unemployment insurance benefits after six months. On December 28th, those federal benefits will end too. One out of every three North Texans is walking a financial tightrope and could be knocked off by just one crisis; a medical emergency, an eviction, a job loss. In KERA’s new series One Crisis Away, we introduce a concept known as asset poverty. “This really measures the ability of a household to exist at the poverty level for just three months if their main source of income is disrupted,” says Andrea Levere, president of the Corporation for Enterprise Development. If Gov. Rick Perry and Lt. Gov. David Dewhurst have their way hundreds of thousands of Texans would have to pass drug tests to get public assistance. Poverty in the U.S. could be slowing after a rough 2011 that saw a slow rebound from the Great Recession. Farmers Branch is waiting to find out when planes will spray for mosquitoes. The suburb was not on last night’s schedule. Neither were border cities Addison, Carrollton, Coppell and northwest Dallas. The Texas unemployment rate has risen slightly to 7 percent in June but remains well below the 8.2 percent national jobless rate. The city of Dallas is reporting 10 mosquito pools testing positive for the West Nile Virus. The latest is in Lake Highlands. Mosquito spraying trucks will be out Tuesday night in the neighborhood bounded by Royal, Skillman, Walnut Hill and Ferndale Road. Michael Wheeler, with the city’s mosquito control team, is on the road testing for the virus. He says the infected insects are showing up very early this year. “It’s about two months quicker than we usually get our positive results for West Nile virus,” said Wheeler. The Texas unemployment rate is under 7 percent for the first time in three years, falling to 6.9 percent for April as the state added 13,200 nonfarm jobs. The Texas unemployment rate has fallen for a sixth consecutive month to 7.1 percent in February as the state had a third straight month of job growth exceeding 20,000 positions. Texas unemployment in December was down to 7.8%, the lowest since 2009. November’s rate was 8.1%. The Texas Workforce Commission says the big job gains were in leisure and hospitality, but government – which had generally been in layoff mode – added more than ten thousand jobs. Lisa Givens, with the Workforce Commission says the Dallas-Plano-Irving sector is sharing lower unemployment figures, but actually LOST more jobs last month than it gained. Dallas, TX – Texas is announcing six more weeks of unemployment benefits for jobless Texans who have exhausted their claims. The Texas Workforce Commission says the extension is a result of the unemployment rate reaching 8.5 percent or higher over the previous three months. The Workforce Commission says the U.S. Department of Labor approved the processing of claims starting December 11th. Dallas, TX – Texas added more than 15,000 jobs in September but unemployment is still higher than a year ago. KERA's Shelley Kofler has more on why. In the past year more than 188,000 additional workers have joined the Texas labor force. So while there's been a gain in new jobs, there's also been an increase in the number looking but unable to land a position. That's resulted in the unemployment rate rising from 8 percent to 8.5 percent.